5 Essential Mobile Apps For Londoners! Sometimes, living in a big city can feel overwhelming and you’re not sure of the best bars or restaurants to try, or the quickest way to get around town, and in a city with so many tourists, it’s hard to stop and ask a local! Not to worry – there’s an app for that. Whether you’re trying to get to grips with your new city or make the most of your home town, here are our top 5 mobile apps to help you make the most of life in London. Citymapper is an essential app for anyone in London. With up to the minute train, tube and bus information, route guides and offline maps available, it’s a super handy app to help you get around the city – plus if you travel outside of London, the app also has travel information for a number of other cities. Available for both Apple and Android devices, the TodayTix app is a great way for culture lovers to experience London theatre. With top West End plays and musicals available, regular ticket offers and discounts, you can see some incredible, world-class theatre for less than you think. 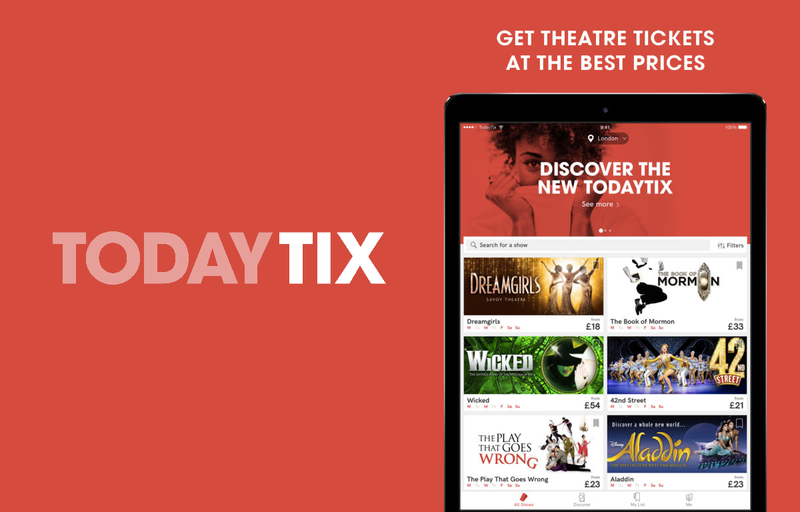 Plus, TodayTix also have exclusive, app-only Rush and Lottery tickets for some of the the biggest shows! OpenTable is a great app that helps you book tables at restaurants all over London. Rather than turning up and being disappointed, book ahead and enjoy top restaurants, and it makes it easy to discover new ones you’ve never heard of. There’s also a reward point system too! Living in London can be expensive and Monzo is the new app that helps you control your money with just a few taps. Lost your card? You can freeze it through the app. Bad at tracking your purchases? Monzo can provide helpful breakdowns so you can stay on top of your spending – a great feature to have if you’re on a night out or trying to save up. Decided to stay in but your cupboards are empty? Treating yourself to a takeaway has never been easier with Deliveroo. Featuring top restaurants, discover something new nearby or go for your favourites and get it delivered right to your door. Never wonder again where your driver is with delivery tracking (helpful for seeing when they’ve taken a wrong turn) and it’s not just great for ordering dinner. Need desserts delivered ASAP? You can order from so many places that yes, you can get a box of doughnuts brought to your home or office whenever you need it. Want more? Where Do I Know Them From? The Cast Of The Birthday Party.